Salary update: Check out our 2019 Consulting Salaries report here! This year promises the first total solar eclipse of the 21st century, the 2017 World Expo, and the French and German elections—fingers crossed these will not cause the pandemoniums of Brexit and the indelible 2016 US election. The field of management consulting also continues to have its fair share of excitement. This past year, many top consulting firms experienced revenue growth of 7-13%. In many firms, a salient driving force behind revenue growth was the increasing demand for digital consulting services. This has led to a proliferation in the recruitment of data scientists, software specialists, and engineers as consulting firms develop their digital practices, thereby offering wider avenues for those hoping to break into consulting. Those who manage to break into management consulting firms in 2017 will be recipients of steadily increasing consulting salaries. At top firms in the US, management consulting salaries have risen an average 4-5%, keeping well ahead of inflation. As noted by many, management consulting salaries in the US are exceptionally high when compared with other countries around the world. There are several reasons for this, the most notable being talent acquisition competition pressure from numerous banking and technology firms. In the United States, top undergraduate students can attain six-figure salaries on Wall Street, at tech giants like Google, and even at hot Silicon Valley startups. As management consulting firms prefer to recruit the crème de la crème, who are currently in high demand in the US, these firms must pay the premium by offering high compensation packages. 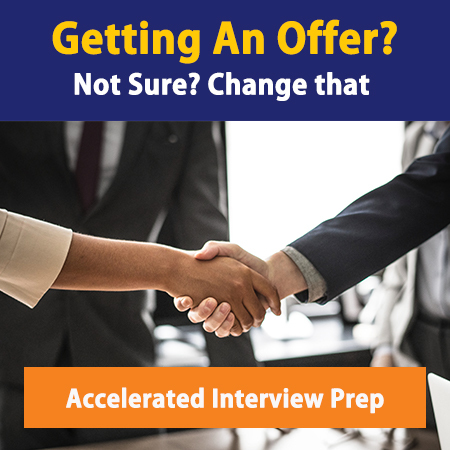 If you have already decided that you want to break into consulting and want the best odds possible, take advantage of our world-class interview prep and resume prep services. We work hard to offer world-class services, and as a result, over 55% of our Black Belt clients received offers from top management consulting firms in 2016. Using compensation data we received from industry insiders, successful interview prep clients, and our loyal readers, we have compiled a list of management consulting salaries for those joining firms in 2017. This list contains data for interns and for those starting fresh out of undergraduate and MBA/graduate programs. All the salary figures are in US dollars unless otherwise denoted. Also, the listed salary data is solely for those in management consulting roles within these firms. When evaluating compensation packages offered by consulting firms, there are several things to note with regards to bonuses. For the performance bonus, only the top 5-10% of employees receive the listed maximum amount. Average performers receive bonuses closer to half of the maximum amount, while poor performers typically only receive a small bonus if any. Also, the size of relocation bonuses is primarily driven by distance one would have to move to work in the specified office location. If offerees live in the same city as the firm office, they are either offered no bonus or a small courtesy bonus (normally $2,000 in the US). However, if offerees live in a distant state or country, they are typically offered the firm’s maximum relocation amount. Relocation and signing bonuses can be administered in several different ways. Although they are typically distributed in advance, they can be rewarded on the start date (e.g. at IBM GBS), or they can even be spread over several years (e.g. L.E.K.). When choosing between offers at different firms, we recommend placing more consideration on the base salary and performance bonus than on the size of the total compensation which includes the signing bonus. Because base salaries play a crucial role in determining future salaries, a base salary of $140,000 paired with a $20,000 signing bonus is preferable to a base salary of $136,000 paired with a signing bonus of $25,000, all else being equal. After accepting an offer from a consulting firm, remember to consider taxes before planning bonus spending. Taxes can be withdrawn before you receive the payments, which can leave you in a dilemma if you planned to purchase that $10,000 ring with a $10,000 bonus. Alternatively, bonus taxes can be withdrawn from future paychecks, reducing your monthly take-home income. Our subscribers have asked us how consulting compensation packages vary across different offices within the same country. The salary data we collected shows that management consulting salaries are typically flat across all offices within a country. There are some exceptions. In the United States, offices in San Francisco sometimes proffer slightly higher salaries than other offices, partly because of the talent war with Silicon Valley firms. Other notable exceptions are Big 4 firms, where we sometimes witness a slight variance in compensation packages. Exceptions aside, flat compensation packages have two important implications. First, one can maximize realized income by choosing an office location where the cost of living is lower. Be warned, maximizing realized income does not necessarily yield the sexiest alternative (e.g. choosing Atlanta over New York). Second, flat salaries leave little opportunity for salary negotiation, unless you are a top performer or experienced hire. Below is the salary data for those joining consulting fresh out of an undergraduate or MBA program. If you recently received a management consulting offer that differs from any of the listed figure below, or if you have data from any other consulting firms or from any other location around the globe, we would love to hear from you. Send us an email or leave a comment below. As always, your anonymity is guaranteed. Although the golden handcuffs easily become more enticing as one is promoted within consulting firms, you can typically receive a pay increase when leaving consulting firms. It is no secret that those joining banking or trading roles can often receive at least a 50% increase in compensation, although their work/life (or more realistically, work/sleep) balance might suffer. You can also leave consulting for Corporate America, where the work hours are typically less, and also receive a pay increase. In 2014, the average consultant who joined Corporate America received an average compensation increase of 10-20%. Consulting salaries have been bullish for the past several years and the trend has continued into 2017. Too bad you cannot easily buy a call option on consulting salaries. However, you can capitalize on this trend by working at a management consulting firm (aside from rising salaries, there are several other reasons why you might want to join). If you are interested in breaking into consulting or have any specific questions, we are here to help you. Don’t hesitate to contact us at [email protected] or book a Power Half Hour with one of our ex-MBB consultants. If you were offered a 2017 management consulting position, congrats! You deserve a pat on the back and a glass of champagne. As we aim to aid future consultants by sharing accurate compensation data, we would appreciate any salary data that you share. Add a comment below or send us an email. As always, your anonymity is guaranteed. Be sure to check out our 2018 management consulting salaries page and 2019 management consulting salaries page!